European players and you cheeky grinders that play online poker in the UK for a living already know that this game dominates this part of the world. Texas Holdem (and coming up fast is Pot Limit Omaha and other variations of it) is already one the most popular card game in the world. It’s played in casinos and in MILLIONS of homes – ESPECIALLY in the United Kingdom. You can watch others play it on TV and in the movies. You can even play it online. For real money, too. Today’s games, software and promotions are so much better on top of all that. So honestly people – get excited. You’re about to jump in head first and we’ll guide you on which poker sites are the safest to play at if you’re located in the UK and also give you the best overall experience for your bankroll. Why is Poker So Popular in the UK? It’s Legal – Compare Europe with the USA. Only 3 states have legalized USA online poker games at the moment. Everyone else is breaking the law in one form or another. But not in the EU baby. You can play whenever you want. And you don’t have to look over your shoulder in fear either. Hell, you don’t even have to pay taxes. More Players – One of the issues with US poker sites is the lack of volume. There are too few players in any one states to run a sustainable poker site. And things are too sketchy for players to spend too much time or money at offshore sites. But European sites? Most of your poker sites have at minimum 10,000 players. Party Poker is one of them. Full Tilt has between 15-30,000 and PokerStars on an off day hosts almost 100,000 players. You can double that on Sundays. Game Variations – You can take your pick from Texas Holdem, Omaha, Stud, Mixed (HORSE), Lowball, cash games, SNGs and MTTs. There are tons of game modifiers too; turbos, hyper turbos, shallow stacks, deep stacks, antes, knockouts, and the list goes on and on. The best part? Most Euro sites that run these games actually have the players to fill them – unlike the USA where there are really only a handful of poker rooms that do any type of similar volume. Banking – Wouldn’t it be great if you could use your Visa to fund your poker account? What about PayPal for withdrawals? If only there was a poker site like that. Oh, there is; but only for European players. You can take your pick from options like credit cards, gift cards, money transfers, e-wallets, vouchers, bank wires and more. Software – Wow, where to start? The games look better. You can multi-table like no other (sometimes up to 16 tables and up!). You can use 3rd party software (Holdem Manager & PokerTracker). There are options like run it twice, show one card, notes/labels and 4-color decks. Many sites even have different background themes you can use for a unique experience. Oh, and I can’t forget that most UK poker sites have mobile apps compatible with Android, iPhone and iPad. One of the biggest changes to US poker sites is that many of them are trying to cater to the recreational player. That means more action and faster games. It also means safer games. Safe from what? The professional player. The grinder. If volume wasn’t an issue, it’d still be hard to grind out a living on US poker sites. But nothing has changed across the pond. Here’s why that’s good for you, the grinder. You can use 3rd party software. That means you can use tracking programs like Holdem Manager and Poker Tracker. You can use Hand-Histories.com to mine for hands. And you can use odds calculators, hotkey programs and more, all designed to make you a more efficient, more effective, poker player. There aren’t any anonymous tables. Anonymous tables don’t use screen names. Instead they label players with numbers. The idea is to prevent good players from targeting the weak ones (time and time again). But this makes it harder to play poker, where you need information (collected over time) to improve your strategy. Few, if any, European poker sites have anonymous tables. What they do instead is offer beginners tables, which are for players that only just joined. The idea is to give them time to get a grip on the software, rules and players. After so many hands, games or months, they join the general population. This is a much better way of achieving the balance that poker sites are looking for. Many US sites have cut back on the number of tables players are allowed to have open at once. I think the idea is that recreational players will only have a couple open at once. And this will discourage grinders from joining the site. Few, if any, European rooms limit the number of tables you can play. PokerStars limits you to 24 cash game tables, and you can play as many MTT/SNGs as you can handle. Most other sites are similar. 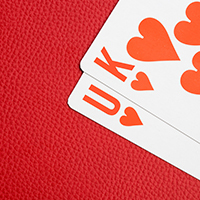 Enough Already: How Do You Choose The Best UK Poker Site? The challenge in choosing a poker site is that most are the same in terms game variety, software and banking options. It comes down to which software is the prettiest, and which site has the games (with volume) you want. From here I would make a choice based on compatibility (Mac, Windows, Mobile) and promotions. Promotions vary wildly. Most offer the same types of promos, like bonuses, guaranteed tournaments and VIP programs. But the details for each will differ. So you have to ask yourself, what’s important to me? Yours might be different. But that’s my point. You need to figure out what’s important to you. Using that, read our reviews to find the best match. If you want to get started right now, then here are some of our favorite UK rooms. Take your pick, and good luck.